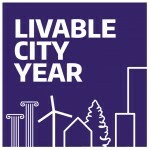 Most cities lack the capacity to fully address sustainability goals. Meanwhile, ideas and human capacity abound within universities. UW is a powerhouse of scholarship on all aspects of urban life, from architecture and engineering to business, public health, art and beyond, but such knowledge typically has an indirect path to community use. While many UW faculty engage in community work, it can be isolated, lacking broad impact. By connecting many courses over one academic year to projects that address the partner city’s specific goals, LCY creates synergistic impacts that are difficult for faculty to achieve on their own. The program engages hundreds of students in high-priority projects, creating momentum on real-world challenges while enabling students to serve and learn from communities. Partner cities benefit directly from bold and applied ideas that propel fresh thinking, improve livability for residents, and invigorate city staff. LCY is an opt-in program connecting interested faculty with city-identified challenges. We help faculty incorporate the city’s project into the curriculum, coordinate logistics, and facilitate students’ preparation of deliverables for the city. We work with local media to publicize course successes and host events within the city, celebrating each effort and the larger partnership. 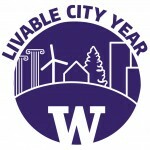 The UW is partnering with the City of Bellevue during the 2018-2019 academic year for its third Livable City Year partnership. The UW will conduct roughy 25 projects in partnership with Bellevue, spanning a vast array of disciplines that includes Urban Design and Planning, Civil and Environmental Engineering, Environmental and Forest Sciences, Public Policy, Political Science, Business, Architecture, Landscape Architecture, Emergency Preparedness, IT and Public Health. To get involved, contact Branden Born at bborn@uw.edu or Jennifer Otten at jotten@uw.edu.